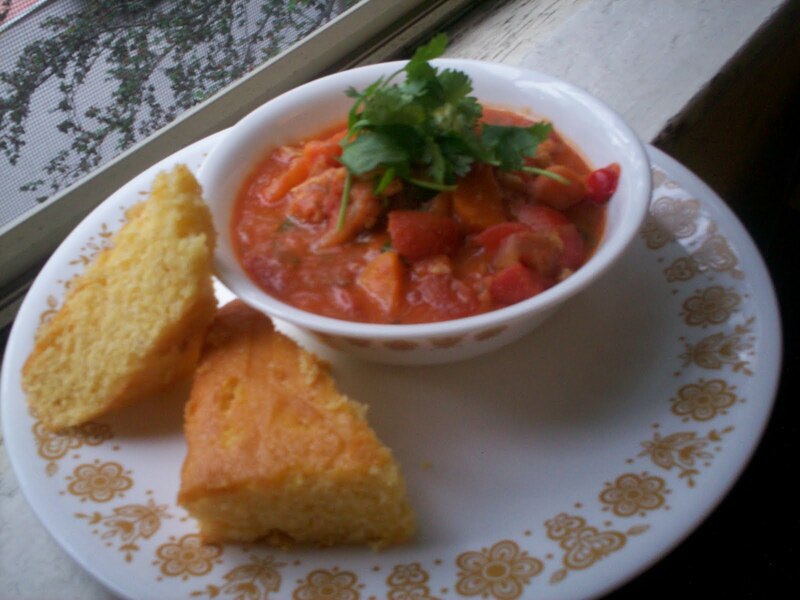 StellaBella: Wednesday Food: Chili Is On! A couple of weeks ago, I got a request from Big Ronnie to make our style of chili. To which I replied, "We were totally gonna do that!!" As I have stated before, I love a good stewed dish and chili is definitely one of our favorites. 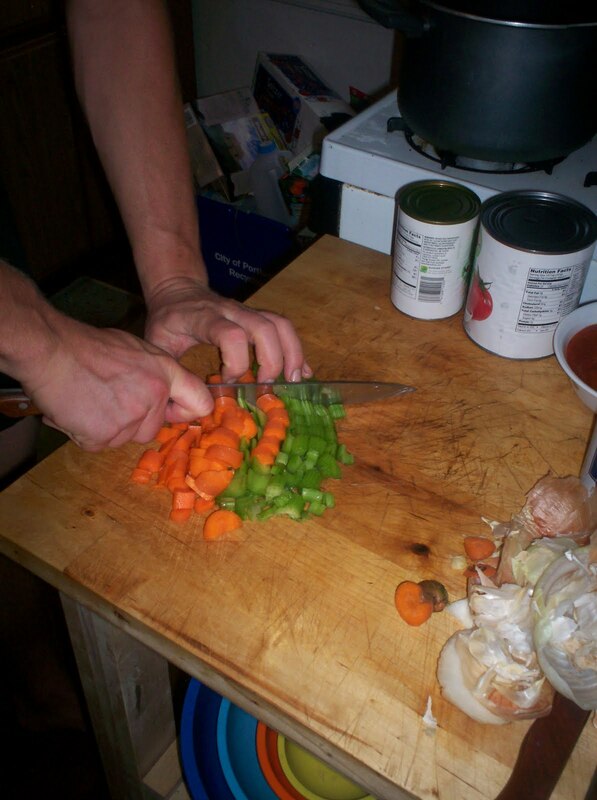 When we first started making chili, it was a very traditional type of chili con carne (with meat). Since then we've experimented with other types with different meats, spices, veggies etc. 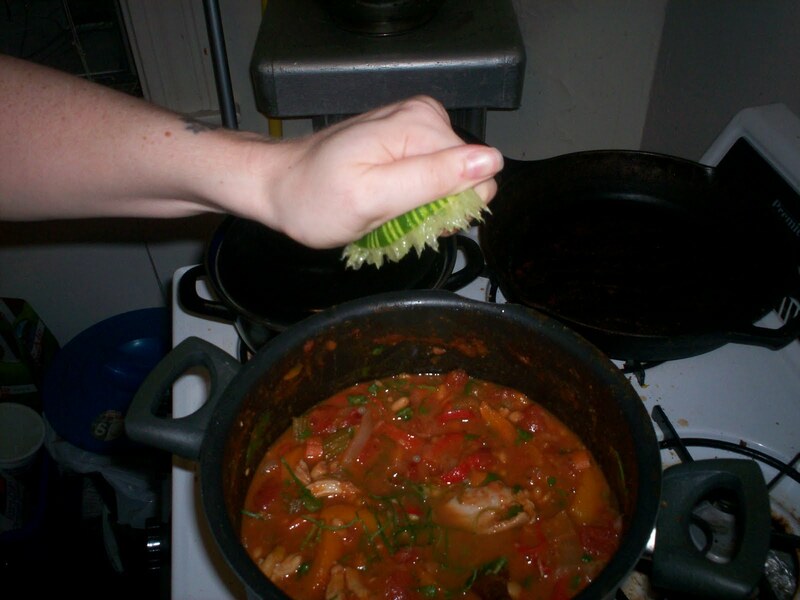 One example was a Pork Chili Verde, spicy with tomatillos. 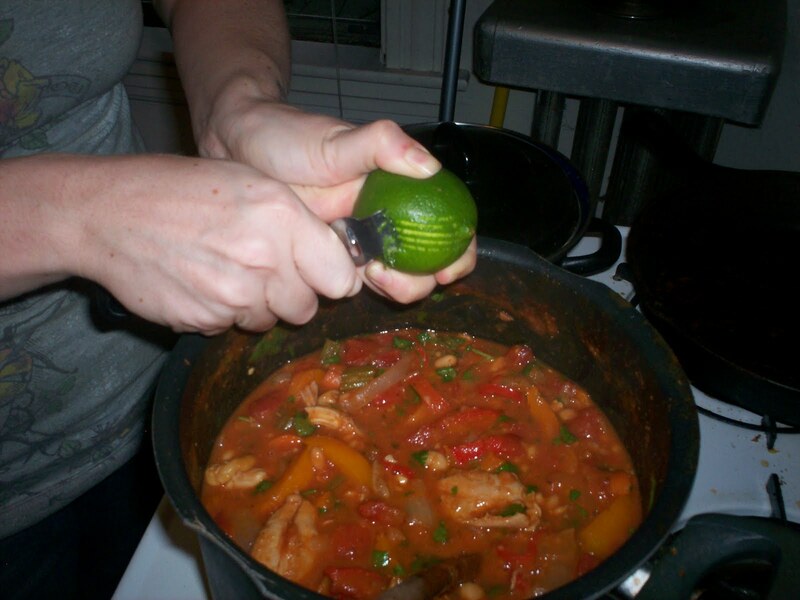 Tonight we made our favorite version, Lime Cilantro Chili with Chicken. The lime and cilantro give it a fresh and bright flavor! A most delicious chili which works nicely for warmer weather, but I will never stop you from eating it anytime you like! 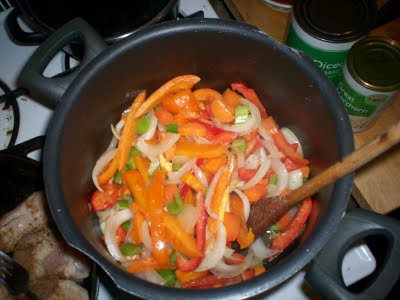 1) Chop/slice/mince the onions, garlic, peppers, carrots and celery. Put them in a large stew pot with some olive oil over medium heat. Let them sweat and soften. 2) In a separate pan (cast iron preferably! 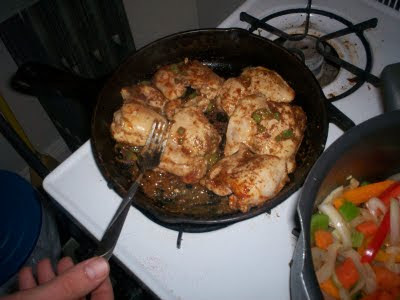 ), sear the chicken thighs with the jalapeno and cumin over medium high heat. Toasting the cumin helps develop the flavor. Ever notice how just adding cumin to something doesn't really do much? Sear both sides for about 5 minutes. 3) Add the chicken to the veggies. In the pan you cooked the chicken in, take your tomatoes and deglaze the pan. This will bring up all the cumin left in the pan and the flavors from the chicken. 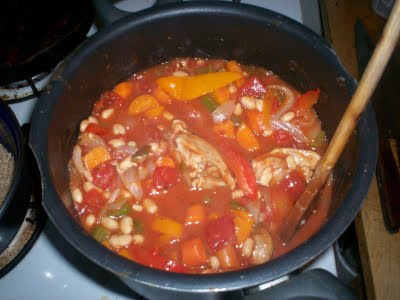 Add the tomatoes to the pot along with the beans. Stir it all together and simmer on low heat. We recommend simmering for about 4 hours. 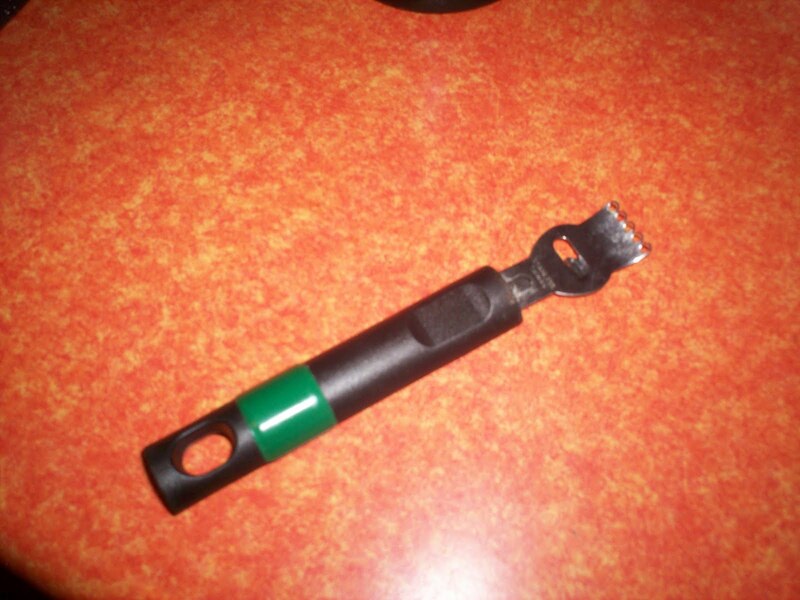 Long enough for the flavors to meld and the chicken to fall apart. ......you want to do it over the pot that your putting the zest in. Specifically, when your using this tool it causes the oils from the skin to spray. You don't want to let those oils go to waste, there's lots of flavor in there! After zesting, cut the lime in half and juice it into the chili. Stir till combined and there you have it. Some additions could be fresh corn or zucchini. We also made some rice and cornbread with it.